#6 on the Wall Street Journal bestseller list, #11 on the Amazon Charts and #22 in USA Today! You can buy it now from Amazon, IndieBound, BN.com or Book Passage. Lefty and Agatha Award Nominee for Best Historical Mystery of 2018! The Tuscan Child has passed 500,000 copies sold! 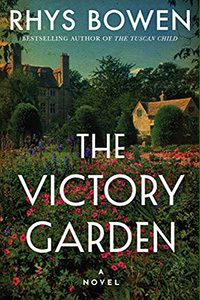 The Victory Garden has been chosen as one of BookBub’s Biggest Books Coming Out Winter 2018! 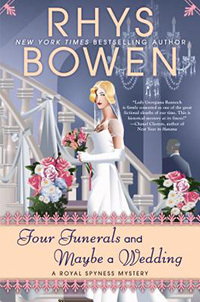 Four Funerals and Maybe a Wedding has been nominated for a Left Coast Crime Lefty Award (Bruce Alexander Memorial Award for Best Historical Mystery) and an Agatha Award for Best Historical Novel! The Lefty winners will be announced at the LCC Awards Banquet on Saturday, March 30; the Agatha winners, at the Malice Domestic Awards Banquet on Saturday, May 4.